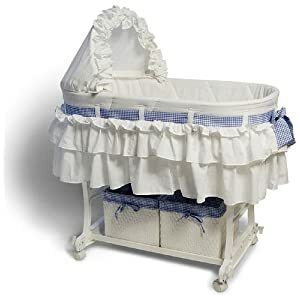 There's a great deal going right now for the Burlington Baby Bassinet Combo with Wicker Baskets (white). It's on sale for $38.50 with FREE shipping! The regular price is $115.99, which means you save over $75! I'm so tempted to use some of my Swagbucks and get one, even though we don't have another baby on the way, yet. So tempted!